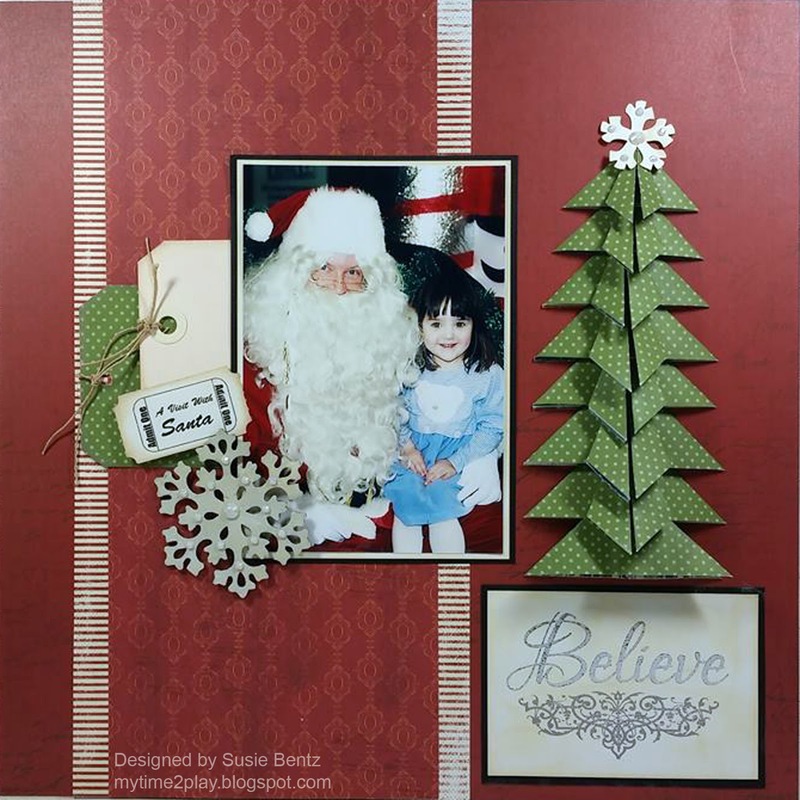 Blog Quick Quotes: Believe with Susie! Hello and welcome! Susie hosting the blog today with a sweet and simple layout that is perfect for holding your visit with Santa photos. 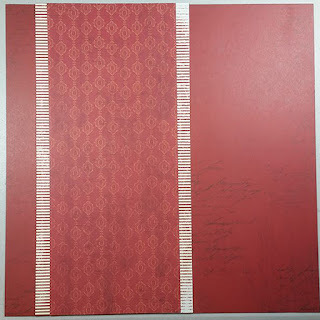 I created the background by layering coordinating pieces from the Earth Wind and Fire collection. 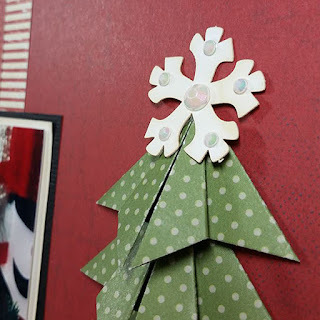 I used a green polka dot paper from the same collection to create this fun tree. You can find the Christmas tree tutorial I shared earlier this month here. 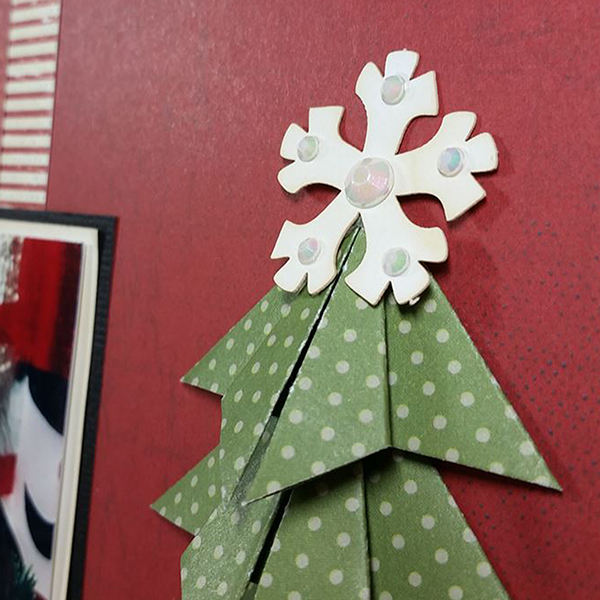 I topped the tree with a die cut snowflake. 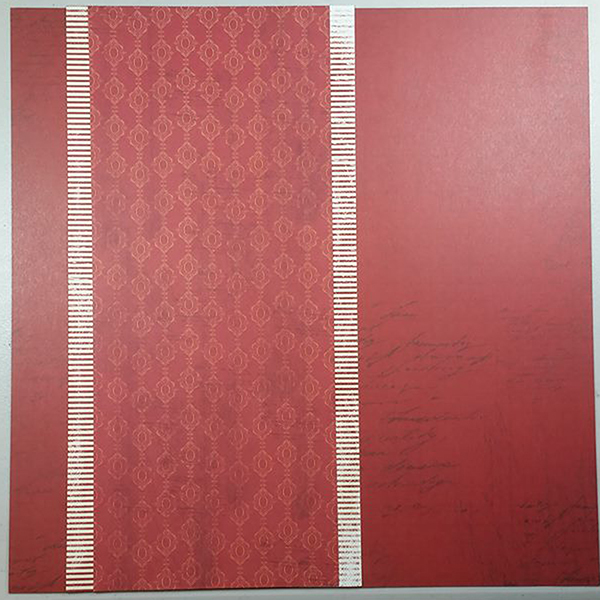 It was cut from white cardstock so I used Antique Linen PowderPuff Chalking Ink to change the color so it coordinated better with the papers. 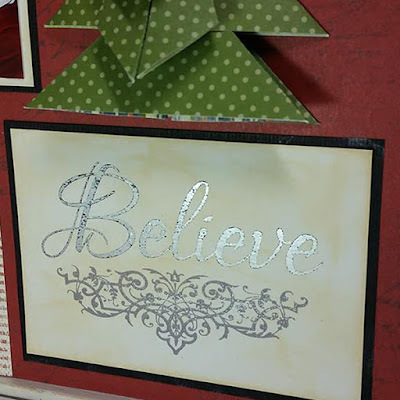 I found the Believe card in the Sentiments Quote Cards pack. They come printed in black on heavy white cardstock. I layed Silver Deco Foil on top of the quote card before running it through a heat laminator. The silver stuck to the black ink on the card. Stunning! I used Antique Linen on the white cardstock before mounting it on black cardstock and adhereing it below the tree. 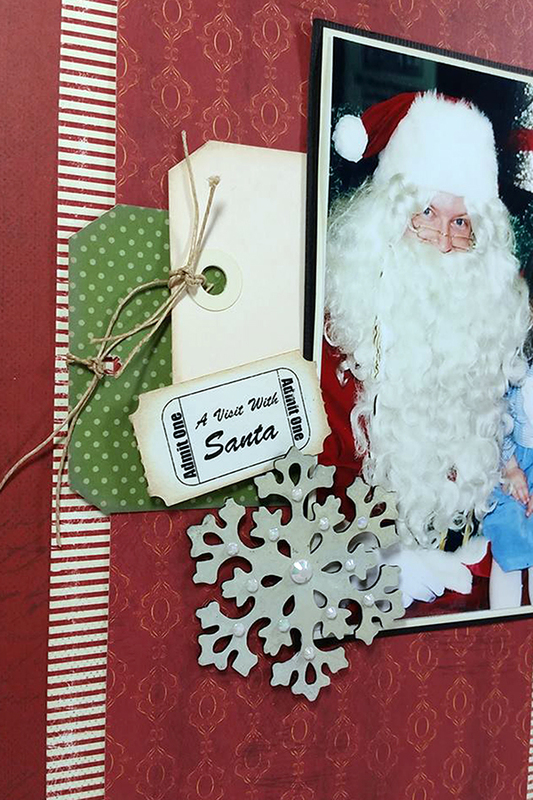 The little embellishment cluster with tags, a ticket and a chipboard snowflake is just perfect to help frame a photo. 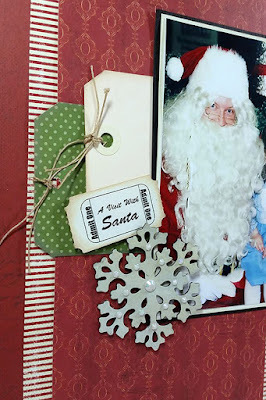 I inked the snowflake with Antique Linen then used clear embossing powder. My finishing touch was Mother of Pearl Rhinestone bling from Want2Scrap! Looks beautiful! Thank you for using our Deco Foil for your sentiment!